The importance of social media is felt by one and all. Though it might seem a trivial issue at first but most of us are aware of the value of social media and the role that it plays in the social media sphere. It is a mammoth task to find out the whereabouts of the internet traffic that your website is seeing. The exact measure of internet traffic that is provided by social media websites to your website, you must make use of Google Analytics. It has all the answers that you might be on the look out for. 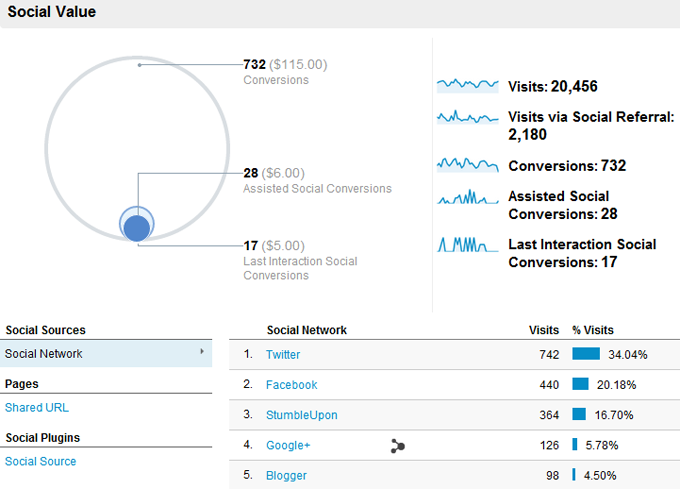 March 2012 saw the introduction of the latest Social Report suite from Google Analytics . It has all the features that one needs to measure the amount of internet traffic that a certain website is seeing from social media domains as well as sharing of certain website content from other websites that are on social networks. With this, one can measure the internet traffic that a website is seeing which comes from social media. One can also keep a track of how these diversions can lead to direct conversions or can be of help in the future. It throws light on the social activities that the website is seeing, both on and off. In this way, optimizing user interface becomes easier along with an increase in social key performance indicators or KPIs. One can take fruitful decisions in social media marketing programs. 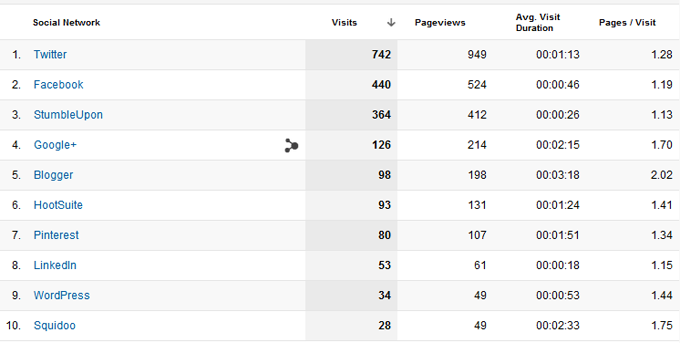 Initially Google Analytics Social Report was known as “Social Analytics” and it came along with its own menu options. Presently, you can find it named as “Social” in the Traffic Sources report. In this section, you will find information about social media data which is the most apt for your website and this includes information on the number of visits that your website is getting each month, number of visits from social media referrals, overall conversions and conversions which are social media assisted. You can make use of the feature named “Social Network” and this will help you in seeing the top social media networks which are responsible for the internet traffic that your website is getting. You can also select “Shared URL” feature to know about the top pages which are being shared on the social networks. There is also a feature known as “Social Sources” which helps you see the plugins on your website that were used. “Social Sources” feature will give you two graphs. 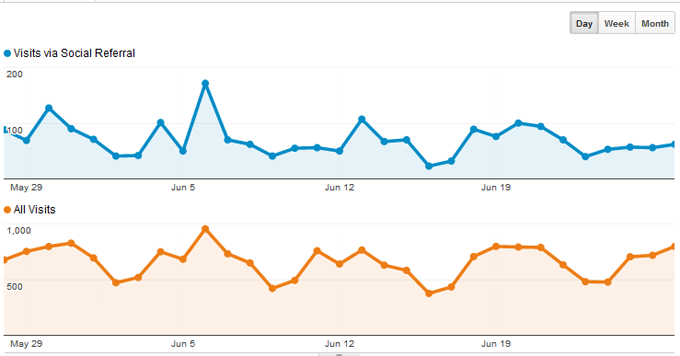 With the help of these two graphs you can find out the traffic that your website is getting. 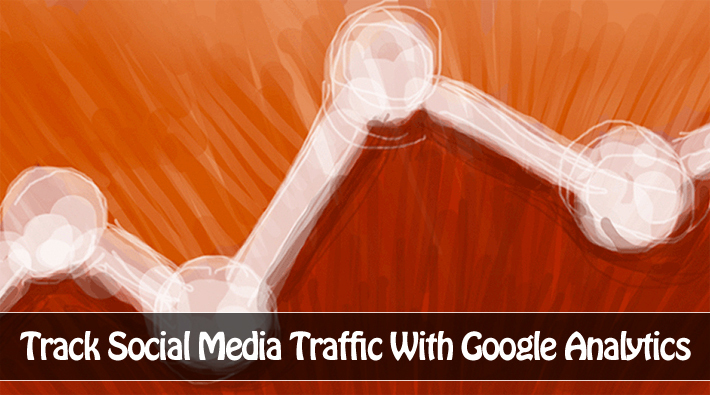 This can be done by comparing the overall traffic to social referrals traffic. Right below that you will see the details about the specific social networks that send traffic to your website. Along with this, you will also get details about number of page views, overall visit duration and the number of pages visited per visit. The details given here are of the last ten visits but if you want to see additional referral sites then you are provided with an arrow which gives you the details when clicked upon. If you want more details, you can also click on the social network one by one to find out how many pages of your websites were shared on the mentioned social networks. You can also find out the number of pages that were received during the sharing. Social Pages feature is much like Social Sources in format. The only difference lies in the fact that this feature shows the list containing top pages on your website. You can also find out how these pages were shared on social media networks. You can also click on the pages individually to find out which social networks got the most traffic to each of the page. If you wish to know about the number of goal completions or about number of conversions that were made by the social media network visitors, you must make use of Social Conversions section. This section will throw light on this factor. If you wish this section to work, you must set up goals in Google Analytics. It is only after this condition is satisfied that one can proceed with this section. Visitors’ actions are tracked by Google Analytics goals. Take for example; if a visitor does some work like visiting a certain URL, it is taken as a completed goal. For example, if you are selling a product online through shopping cart, the visitors will receive a URL after their transaction is completed. If you set a Google URL goal for completion of a purchase then it will let you know how many visitors have made a purchase and how many orders have been filed. This blog post (How to Setup Goals in Google Analytics) will help you know more about setting up goals in GA.
Social Plugins section will help you see how many people have engaged with the social buttons when they were at your website. This will also help you know which articles have been shred the most using these social buttons. The default value by Google is +1. If you wish to see the activities from other buttons like Retweet in Twitter and Like on Facebook then you have to install additional tracking code on your website which will help you in keeping a record of these activities as well. More information about tracking code integration is available on Google Analytics Help Center. 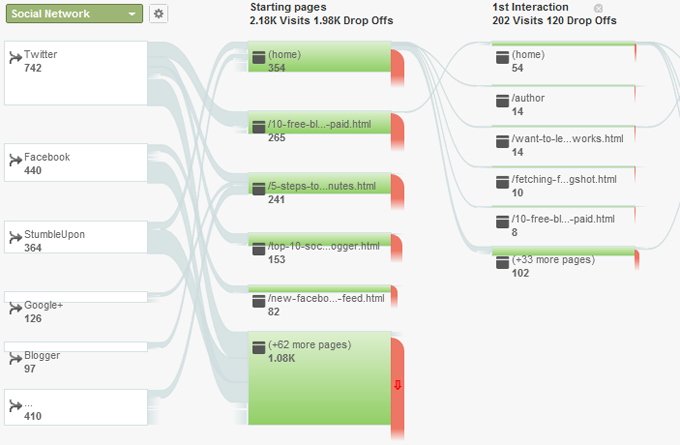 Getting a visual outline of the number of visitors visiting the website is possible with Social Visitors Flow Section. If you scroll to the right with the help of your mouse, you will be able to see many more levels of interactions. You should click on the “+Step” link which will help you see the details of the last visitor and the interaction from the first page that they clicked upon. 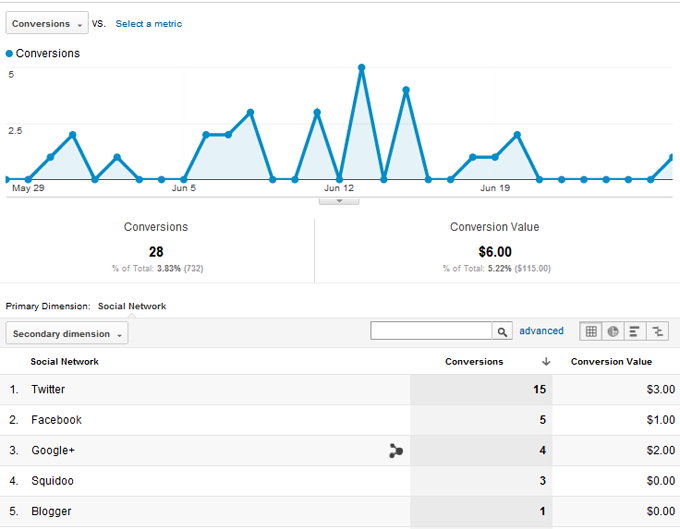 Have you made use of these features of Google Analytics? To what extent have they been useful to you?